Every Rosh Hashanah and Yom Kippur there are those who are unable to attend a synagogue service in person. Some are ill and are unable to travel. Some, due to age, are homebound. And some who live outside of urban centers have no easy access to a synagogue. Thanks to the Jewish Broadcasting Service (JBS), there is now a way for every Jew to be able to participate in the High Holidays. Once again, JBS will be televising High Holiday Services LIVE from Central Synagogue in New York City. In addition, JBS will repeat those services at later times for those who live in different time zones. 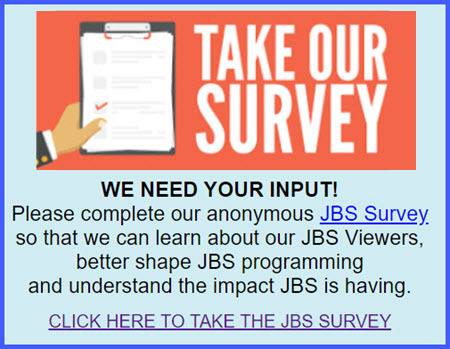 See below for more information on how to access JBS.